The state-owned Foreign Trade Bank will move to a new location Monday, making the physical split from its parent entity, the National Bank of Cambodia, as it moves toward privatization. To fund the switch from public to private—and meet the $13 million capital requirement in the new banking law—the government is planning to sell bonds for the Foreign Trade Bank. A committee composed of officials from the Ministry of Finance, the National Bank and the Fo­reign Trade Bank is studying the issue. A senior official of the Finance Ministry said the joint committee will study the legality of issuing bonds, the interest rates and denomination of the bonds, and the nominal value of Foreign Trade Bank’s shares for the next four months. The government should be ready to issue bonds by the end of June, he said. An International Monetary Fund expert will come to Cambodia at the end of the month to discuss the bond proposal, he said. Financial experts have questioned the prudence of issuing bonds to raise capital—something Cambodia has never done. The government will be asking people to buy bonds for the bank with the promise of a higher return than a savings account. It has not been determined if or how the bonds will be guaranteed. Experts say there are many questions to be settled before issuing bonds. There needs to be a legal framework to regulate the financial instrument and the market. How to determine interest rates and target buyers are other issues to be resolved. 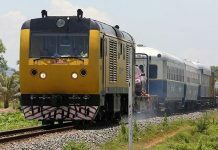 Senaka Fernando, country manager of PriceWaterhouseCoopers, said the government also needs to boost Cambodians’ trust in the country’s banking and financial system. The many years of civil unrest, he said, destroyed the banking system—and people’s faith along with it. 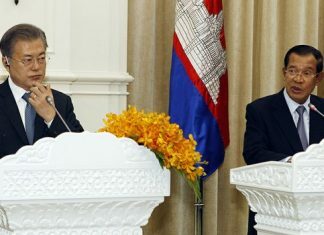 Cambodia talked about issuing bonds once before, but a draft of the securities law did not materialize, said Bit Seanglim, vice president for the Council of Ministers’ economic, social and cultural observer unit. Last July, the government set up the Securities and Exchange Regulation Working Group to draft laws and regulations to open a bond and stock market. Bit Seanglim said the working group, which he chairs, has not discussed the Foreign Trade Bank’s plans to issue bonds. He said the government should be careful in dealing with bonds, which eventually need to be repaid with interest. “A good way is to issue bonds for projects which can generate revenues,” he said. 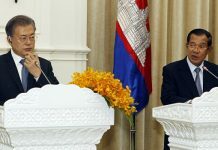 Cambodia’s tax system is not well enough developed that the government could repay bonds with tax revenues, he said. The bank’s physical move, to the corner of streets 53 and 114, is the first step to privatization, said Ouk Maly, general-director of the Foreign Trade Bank. “We will be more like a general commercial bank,” she said. Ouk Maly said privatization of the bank has been encouraged by the International Monetary Fund, which is overseeing the country’s monetary reform. Next will come the issuing of bonds to raise capital, the drafting of a detailed privatization strategy and the sale of bank’s shares, officials said. Privatization is scheduled to be completed by the end of this year. The bank plans to open branch offices in Siem Reap, Siha­noukville and Battambang pro­vinces in the next three years, Ouk Maly said. One banking expert said the schedule is too ambitious to complete on time. “It sounds optimistic,” he said. The Foreign Trade Bank, located in the National Bank compound on Norodom Boulevard, has 7,000 customers with savings accounts and performs other common banking services, from loans and money transfers to foreign currency exchanges. International donors and financial experts alike have long urged the Foreign Trade Bank to privatize, making the bank more viable. Critics say commercial banks should not be owned by a central bank, a regulatory body of the country’s banking and financial system. “It’s one of necessary evils” to separate the Foreign Trade Bank from the National Bank, the bank­ing expert said. © 2001 – 2013, The Cambodia Daily. All rights reserved No part of this article may be reproduced in print, electronically, broadcast, rewritten or redistributed without written permission.